First of all, I want to say thank you to everyone who commented and emailed regarding my last post about blogging. I’m still working on replying to everyone, but it means a lot to know that my thoughts resinated with so many other bloggers. And the notes of encouragement from are also appreciated. My very favorite comment came from Rick who said, “Though we have never met and possibly never will I feel like part of your family as I have read your posts since nearly the beginning of your travels.” Ahhh…thanks Rick. We feel like you are part of our family as well. Which reminds me of another huge reason why we have this blog. Blogging creates community. A community that supports and encourages each other. Yes, this blog is a place for us to record our memories, but it’s also a place for us to connect with others. Thanks for reading everyone! Okay, on to the state parks. 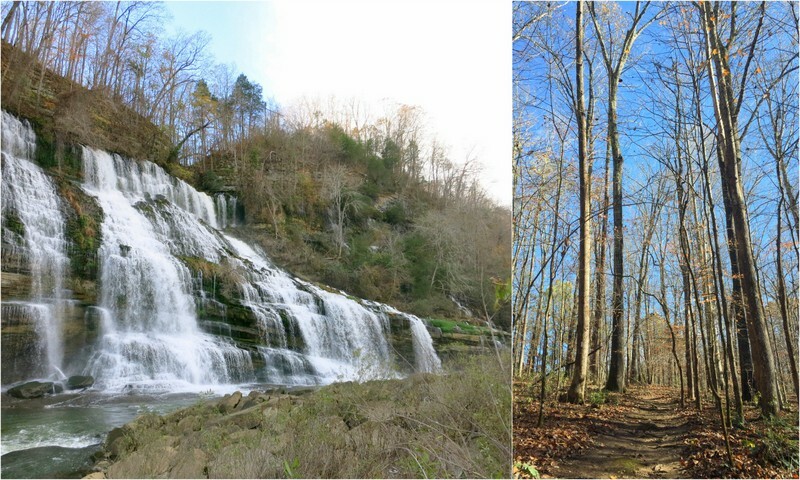 In the past few weeks we have hit up two more Tennessee State Parks. Both have been enjoyable with nice sites, hiking trials, and more cool waterfalls — but the cold weather is starting to get to us. We can deal with the cold overnight temps as our little electric heater does a good job of keeping it nice and toasty in here (although our water hose did freeze a few nights ago…oops, guess we should have disconnected). But with the sun setting at a ridiculously early hour, and the temps often not even making it out of the 50s during the day, we start to wonder what we’re doing here and why we don’t use those wheels our house is so conveniently equipped with. We almost called it last week and started heading south. 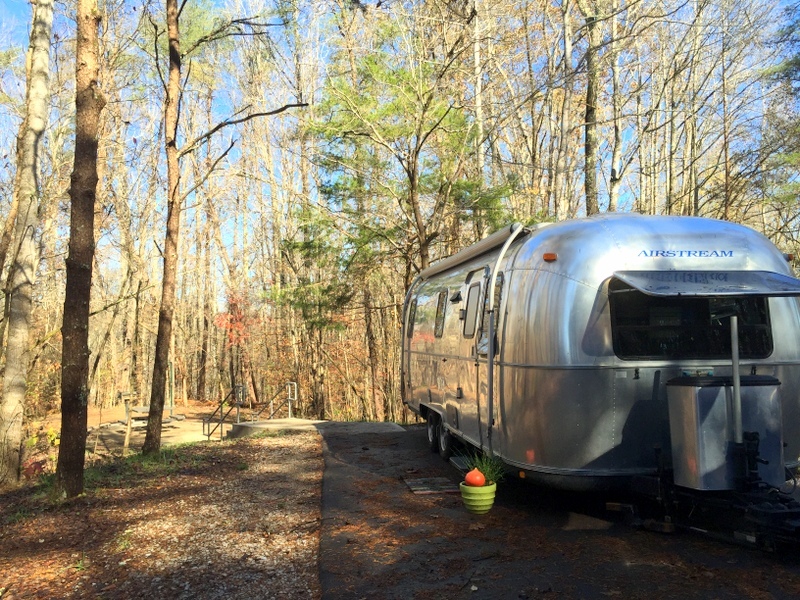 But in addition to plans to meet up with some fellow RVers, we already have both Thanksgiving dinner and RV park reservations in Nashville. So we put on a few more layers, made an effort to get out earlier in the day to avoid those dark, chilly afternoons, and decided to stick it out. Sometimes you just gotta roll with it. We spent most of last week at Rock Island State Park. Remember how busy it was at Fall Creek Falls? That was NOT the case here. 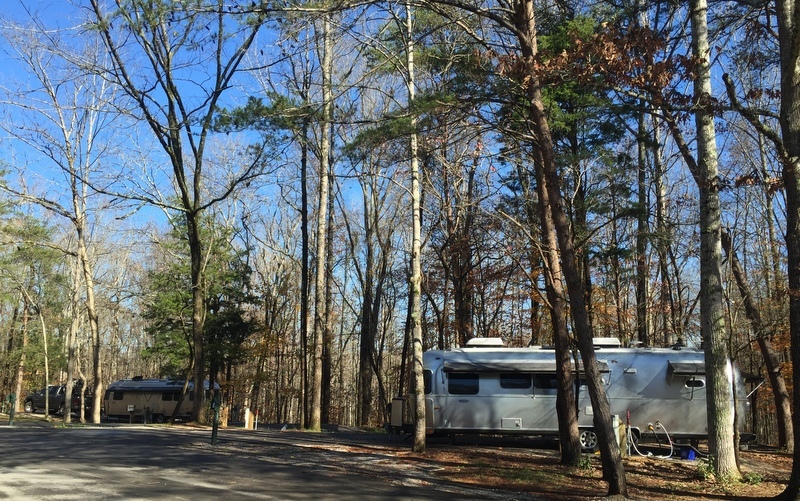 For most of the week there were no more than half a dozen other RVs in the campground. 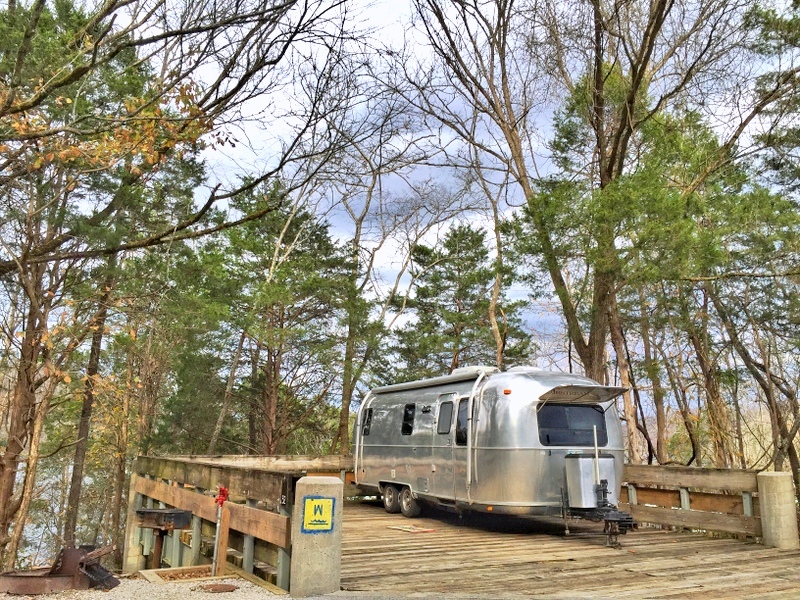 Lucky for us, for a few days two of those RVs were Airstreams that belonged to the Currently Wandering Family and brand new Airstreamers Rhonda & Joe. We first met Jess, Sam & their three kids a few years ago when we overlapped at Usery Regional Park outside of Phoenix. Since then we’ve never been in the same place again, but we’ve kept up through Instagram and after discovering that we were in the same general area jumped at the chance to meet again. 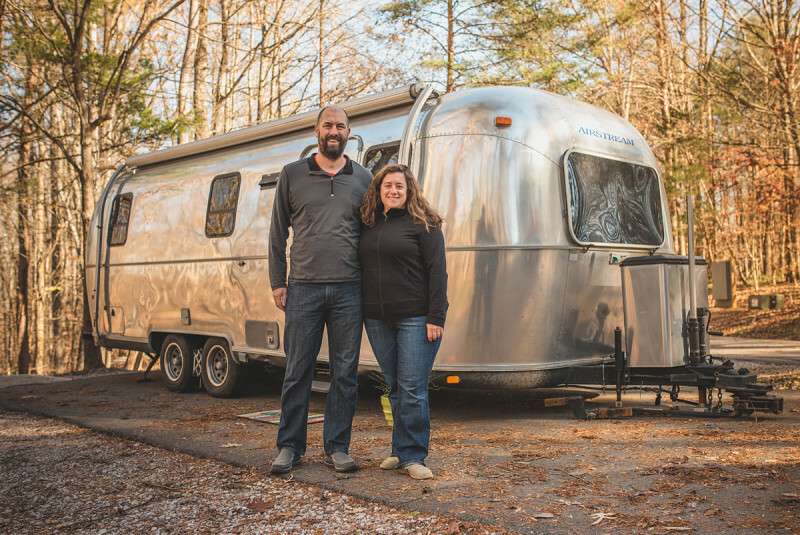 The second Airstream family consists of Joe & Rhonda plus their very cute son Austin, and Grandma Kitty, or “Mama Kat” who will be traveling with them as they tour around the U.S. for the next year. It was really cool to spend time with a family about to embark on great adventure. 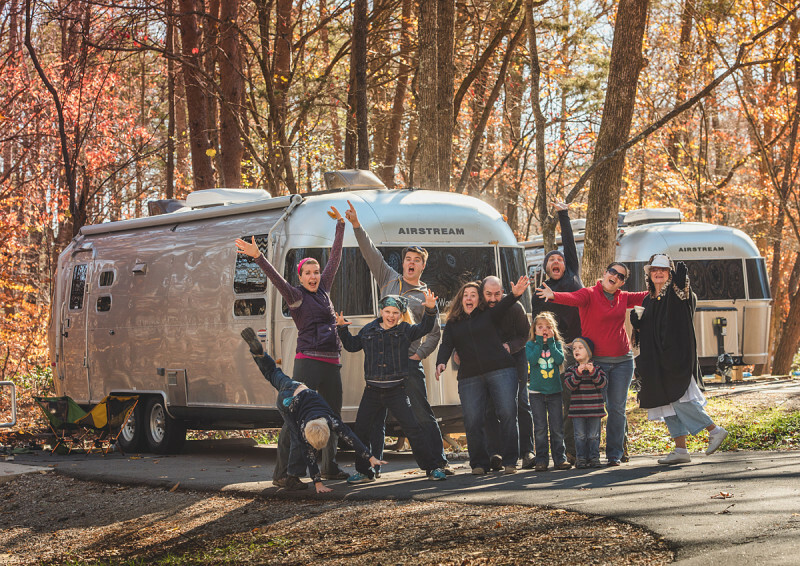 This was their first time in the Airstream as a family, and even though they’re still working out some kinks, I think they have what it takes to travel full-time. Also, Joe is a professional photographer who not only took a great group shot of us all, but also this nice one of Tim & I in front of our home. Aside from hanging out with our friends we did some exploring around the park including a few hiking trails and a really cool waterfall sighting. Last weekend we moved less than an hour east to Edgar Evins State Park. I was pretty excited about this park because their website photos showed some really cool looking waterfront sites. From what I could decipher the sites were pull-thrus with the “yard” consisting of an elvated wooden deck platform over looking the water. Turns out I was only partially right. There is an elevated wooden deck, but that’s your entire site, not just a sitting area. Also, the water view is nearly non-existent due to all the trees. I bet in the summer when the leaves are out you can’t see the lake at all. It felt a little strange to park on an elevated platform, although I did appreciate the cleanliness aspect of having a wooden deck outside my door. The major flaw is that you don’t get any space aside from the wooden platform. Basically the deck ends where the road begins, which means you need to squeeze your vehicle on the deck with you. Also, if you want to have a campfire you only get a tiny piece of gravel squished between the road and a steep bank. In the end we liked our site which was pretty private and very quiet (could be because we were one of only three RVs in the entire park), but I was disappointed that our advertised “waterfront” site didn’t actually have a view of the water. Campgrounds really need to start being more honest about this. It happens all the time. I understand that when you built the campground back in ’60s these sites had a great view of the water, but now you either need to update the description, or cut down some trees! We had the best intentions to get out on the lake for some kayaking, but the cold kept us away. We’ve pretty much given up on kayaking during the week since it gets dark at 4:30 and Tim usually works until 4. Which means that Sunday was our only option this week. Except it never got warmer than 47 degrees on Sunday! We hiked down to the marina instead, and after feeling the cold breeze coming off the water decided going out on it would not be any fun. Oh well. We’ll be heading south very soon where there will be plenty of opportunities for kayaking in more pleasant weather. So that’s it for our Tennessee State Park adventures. In the end we visited a total of four different parks and liked them all. 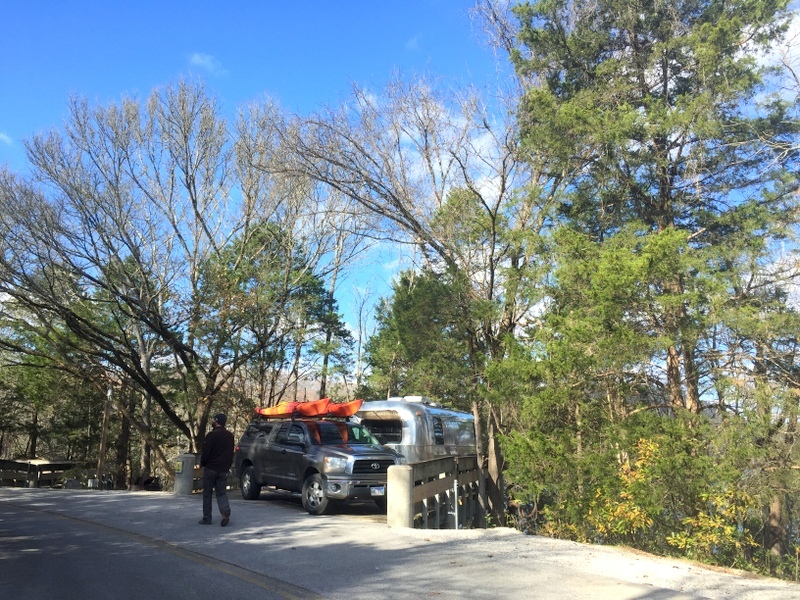 Even this time of year when the winter look is threatening to take over, Tennessee is a really beautiful state and the state park system does a great job of creating places for people to enjoy the outdoors. Despite my complaints about the cold, I’m glad we stuck around and very much look forward to our next few days in Nashville where we plan to explore the city and feast on a giant, delicious meal where I don’t have to cook or clean a single thing. Happy Thanksgiving everyone! Despite the cold it looks like a decent time of year to visit those parks with their sparse population! Great photos of you two and the group! We had a great time meeting you and Tim! I hope we get the chance to cross paths again in the future!! Good luck over the next few months. I hope everything goes smoothly and that you get out there on the road very soon! 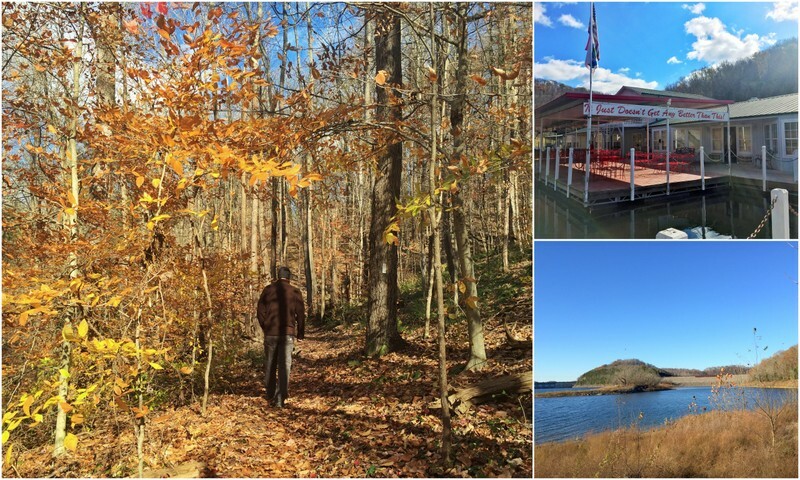 Beautiful photos Amanda…Tennesee is quite pretty in all seasons, but there is something special about fall and crisp air there. We were hoping for some crisp fall air this year, so I guess we can’t complain! 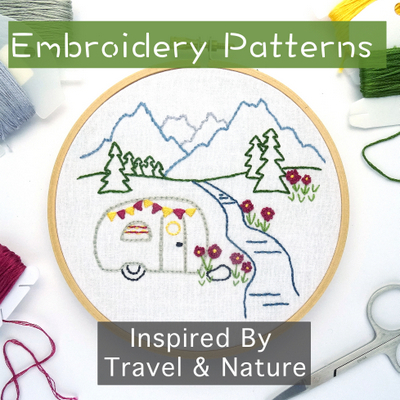 As longr as the snow and ice stays away (and I have lots of layers for outside) I sure like the look of those sparsely populated campgrounds! Sure looks like a fun group of Airstreamers you met up with, love those happy kids :-) Very sweet pic of you and Tim. Happy Thanksgiving. The nearly empty campgrounds have been wonderful. We’re definitely getting spoiled by having the whole place to ourselves! Thanks Laurel. Nashville details coming up! continue your travels, we enjoy. Regards, Mary and Stanley Owen We live in Fayetteville, N.C.